SilverWaterPearls is currently undergoing construction. Please check back in 2015 with big updates! 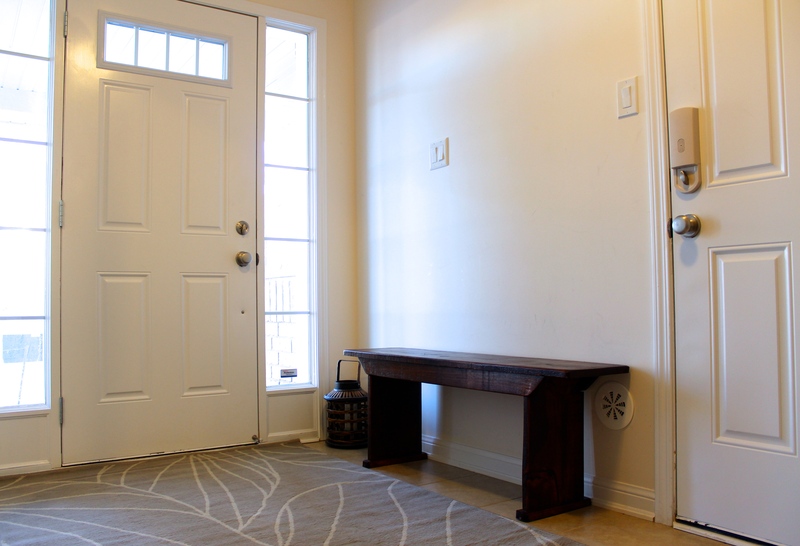 A few months ago I wrote about my white and very boring entryway in a post titled To Paint or to Wallpaper. I played around with the idea of using a single solid paint colour throughout or trying out a metallic-type wallpaper. 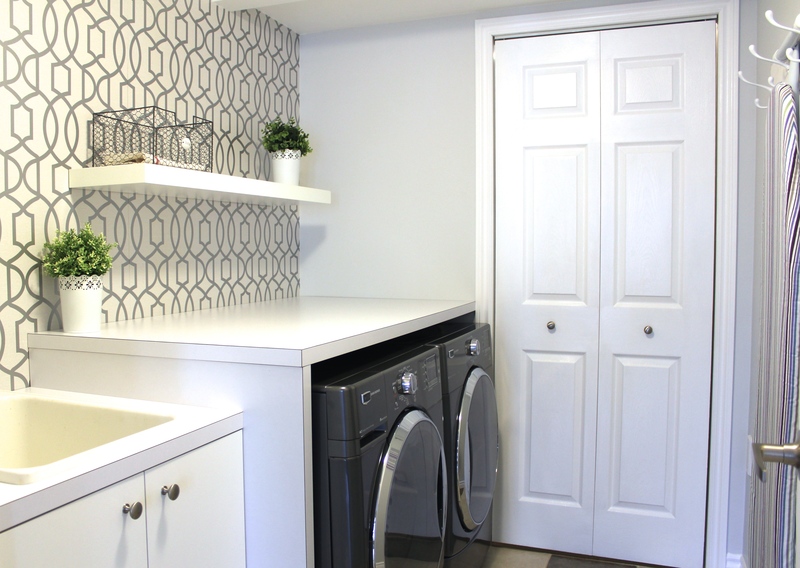 After several months (I never said I was a quick decision maker) and already utilizing metallic wallpaper in our Clean and Crisp Laundry Room I knew I wanted a solid colour throughout. 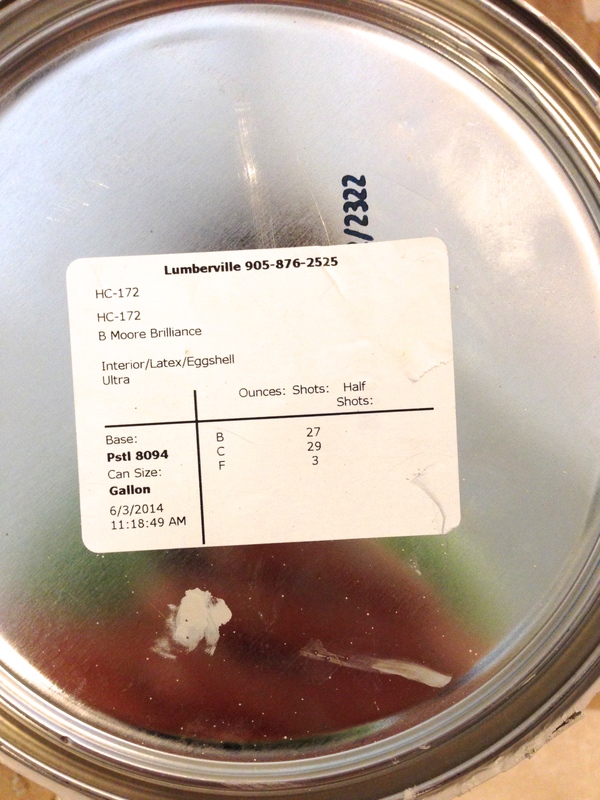 During this time I had also entered a FreebieFriday contest with PARA Paints on Facebook. Contestants had to answer a simple question regarding decorating/painting and the best answer would win. Sounds simple! Well I was ecstatic to learn that I had won! 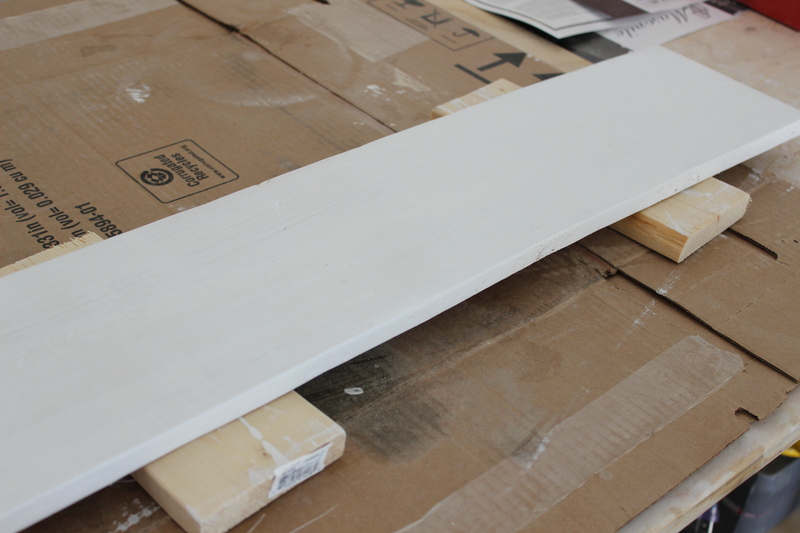 Not only because I rarely ever win anything but because I had finally decided to paint this boring space and now I was going to get the chance to try out PARA Paints–a product I’ve heard so much about. And yes little things in life get me excited and winning a gallon of paint is definitely one of them. I went to my local PARA Paints dealer and knew exactly the colour I wanted. Call me a cop out but I wanted them to replicate Revere Pewter by BM. 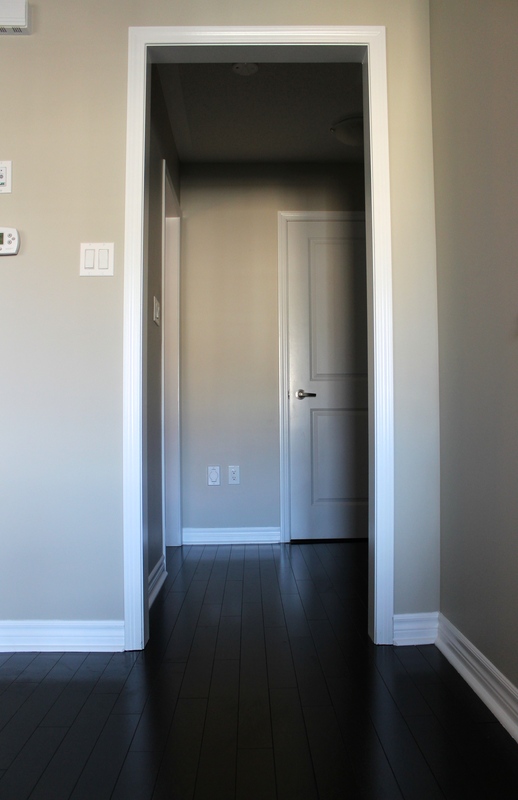 I wasn’t taking any chances choosing the wrong colour for our entryway and this colour is described as the “best paint colour ever” by Pinterest users. So how did I like it? This paint was amazing to work with. 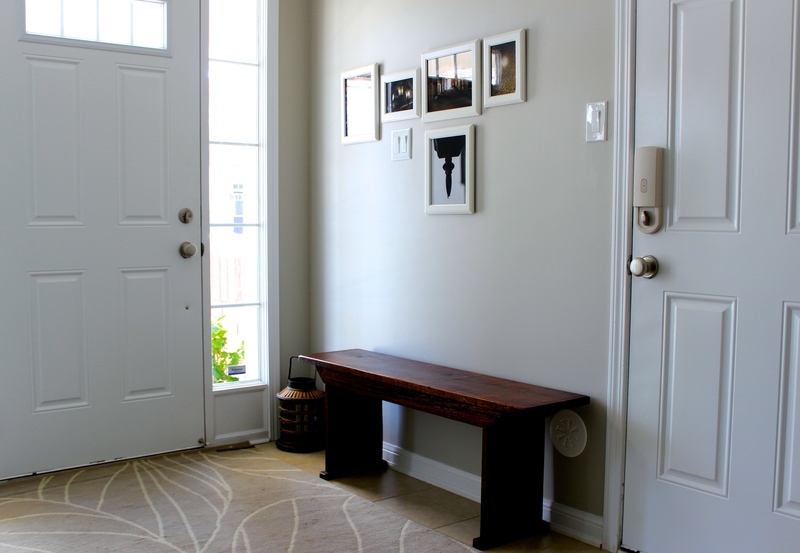 A gallon went a long way with this product–I covered our entire entryway, the walls up the stairs and the hallway/landing on the second floor with two coats! The colour is perfect too. It goes extremely well with white trim, baseboards and doors and looks so sophisticated and calming with our hardwood stairs in graphite. I am so pleased. 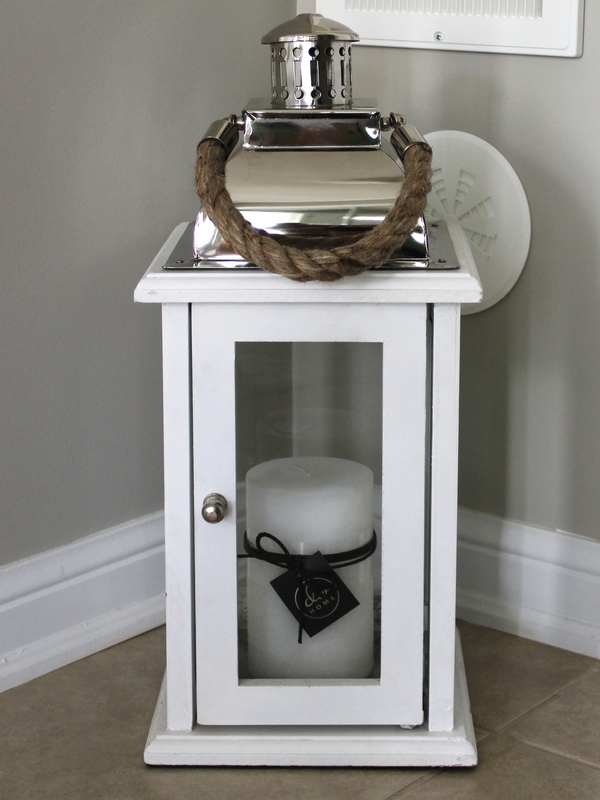 Before: Yellowish and drab After: Colour more subdued and sophisticated. We already had the rug, wood bench and a few other decor pieces in this space, but we were missing something on the wall above the bench. After careful consideration (and probably more time spent than necessary) I decided to make this my fiancé’s “gallery wall.” He has challenged himself by taking a picture a day for 365 days, which you could check out here. 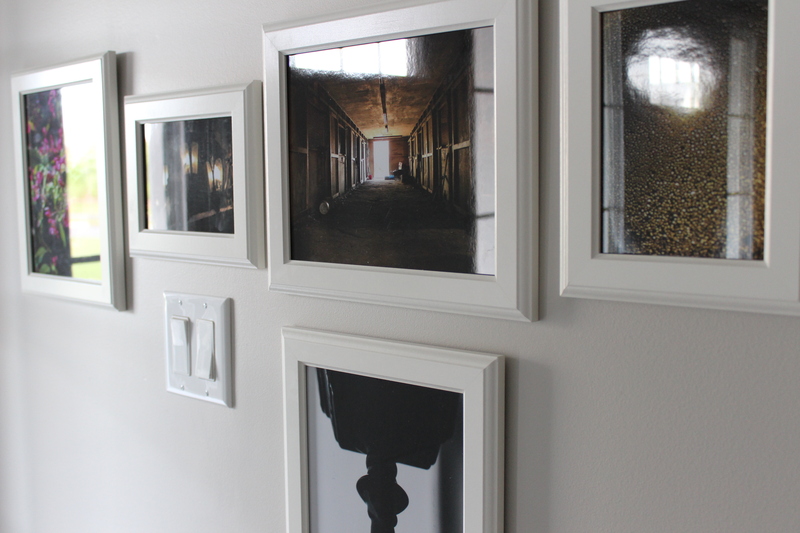 So I thought what a great idea to get some of his pictures printed and displayed. Other than printing and hanging a few more pictures along the way, I am happy to say that this space is done! Let me know what you think! And please feel free to leave a comment, advice or suggestion. And I urge everyone to check out the PARA Paints page on Facebook for their FreebieFriday contest and painting techniques. There’s so much to learn! This is a bittersweet post– on the one hand I get to reveal my newly renovated crisp and clean laundry room, but on the other hand it’s the end of the weekly linking event with the One Room Challenge hosted by Linda over at CallingItHome. This has been such a fun experience and I’ve “met” so many talented and inspiring women who have worked so hard on making over their rooms. You have to check them out here. I swear these makeovers need to be in a magazine! The countertop is custom-made and is the most expensive piece in the room, but it was well worth the money –I mean look at the size of it! The “wash, dry, fold” picture is a free printable I got off of Debbie Doo’s website. All you guys need to check out the other participants’ reveals today …click here! I can’t believe we are in week 5 of 6 of the One Room Challenge hosted by Linda at Calling It Home. This has been such a great experience and I can’t even begin to tell you how much I’ve enjoyed linking up with the ORC. 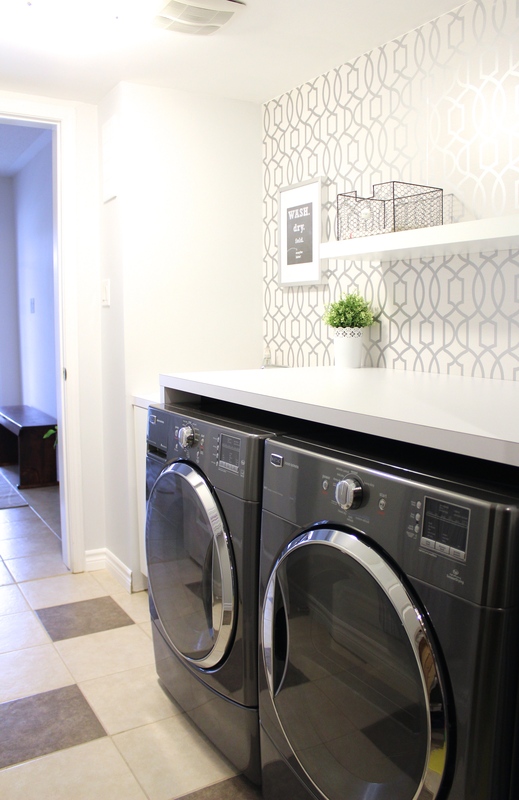 Next week is the final week and I am über excited to reveal our laundry room reno. 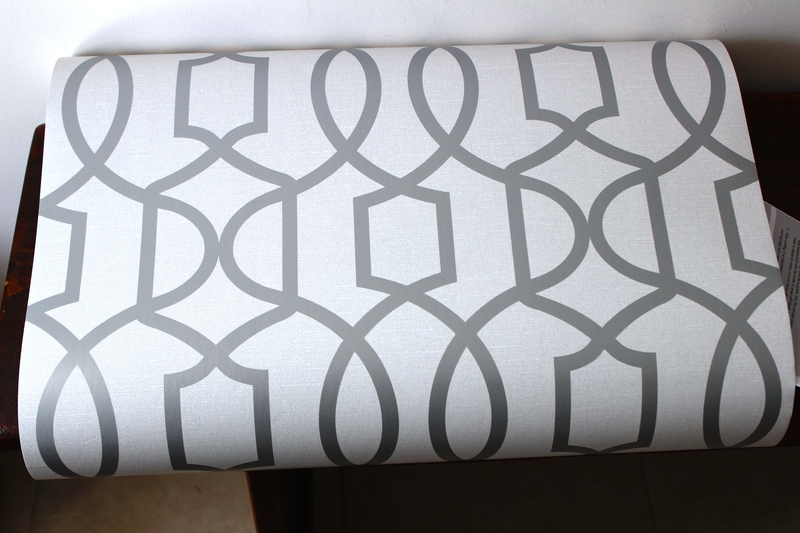 I don’t have many pictures to show you today because I’d be spoiling the reveal, but I will show you the initial inspiration for our modern, clean, chic and sophisticated laundry room. 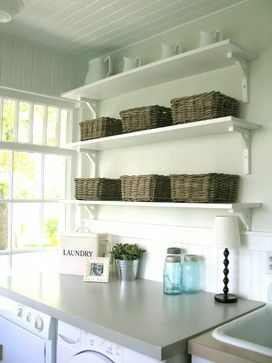 I particularly love the light, crisp, airy colours and feel of these laundry rooms. 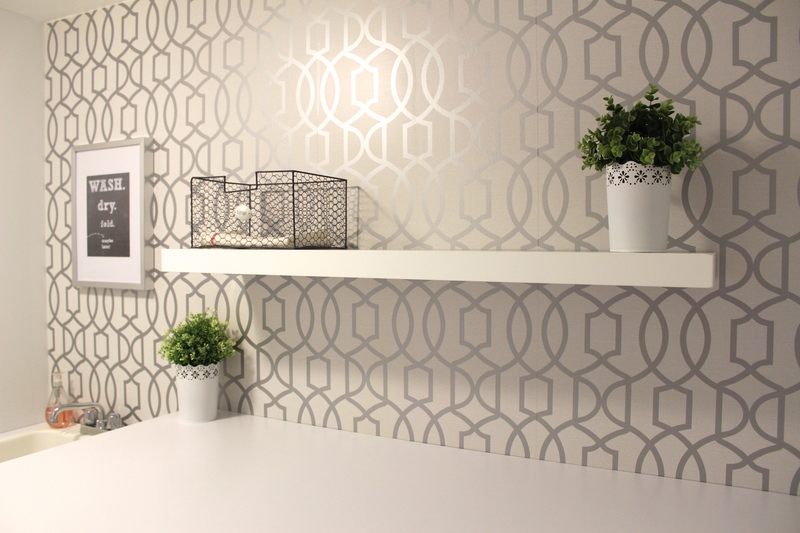 I knew I wanted a feature wall so I opted for a metallic modern wallpaper. 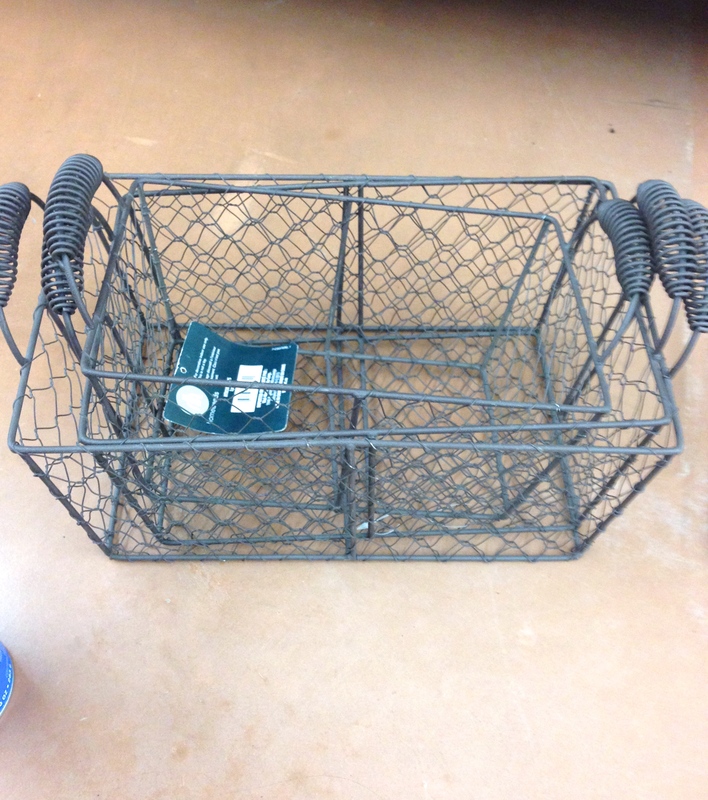 And of course you need storage and hooks–and these chicken wire baskets and quick DIY hooks are pretty and practical. Don’t forget to come back next week and check out the big reveal! And click here to see the other very talented and extremely hardworking participants and their projects!! First of all, thank you so much to everyone who stopped by the last few weeks and commented! Your words of encouragement are so thoughtful and motivating. This is my first time participating in anything like this in the blogosphere and I am amazed at how supportive everyone is–what a great experience! 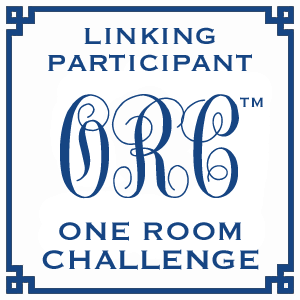 In case you haven’t heard, I am participating in the One Room Challenge hosted by Linda at Calling it Home. Please click here to check out the other 83 very talented and hard-working participants. If you want to see my progress over the last three weeks click week 1, week 2 and week 3. 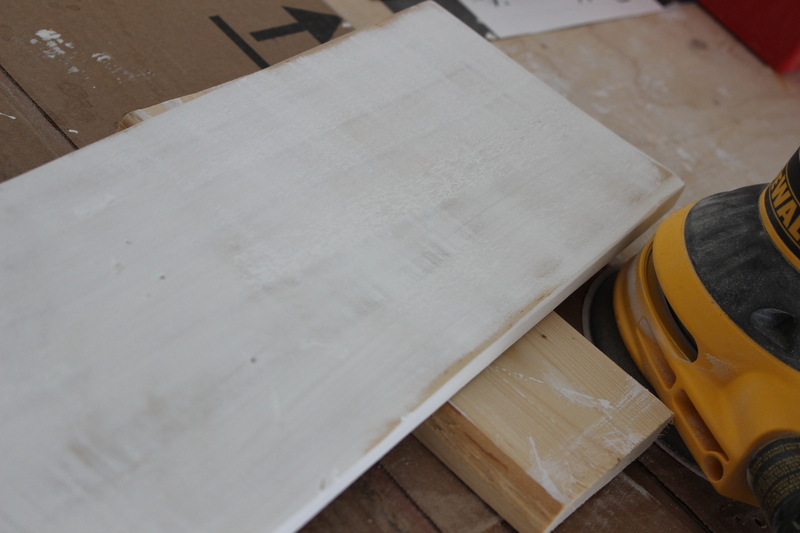 We’re in week 4–two weeks to go from the final reveal! 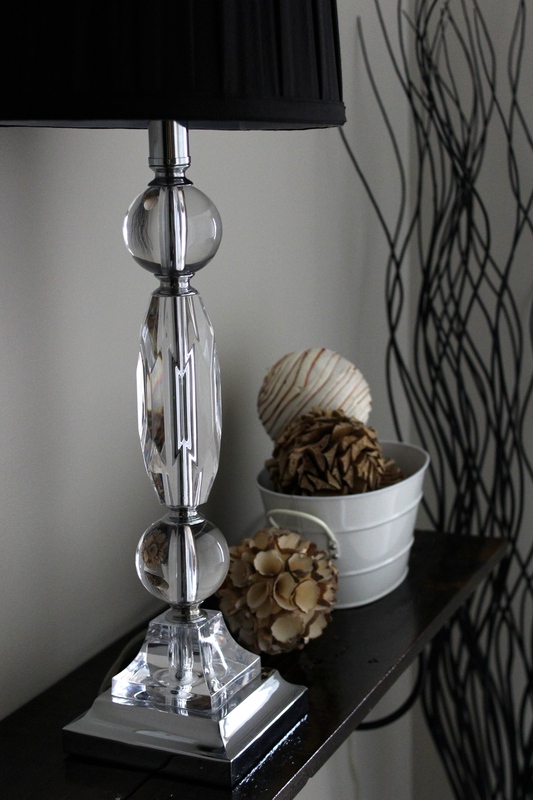 I’ve started to look for small decor pieces. 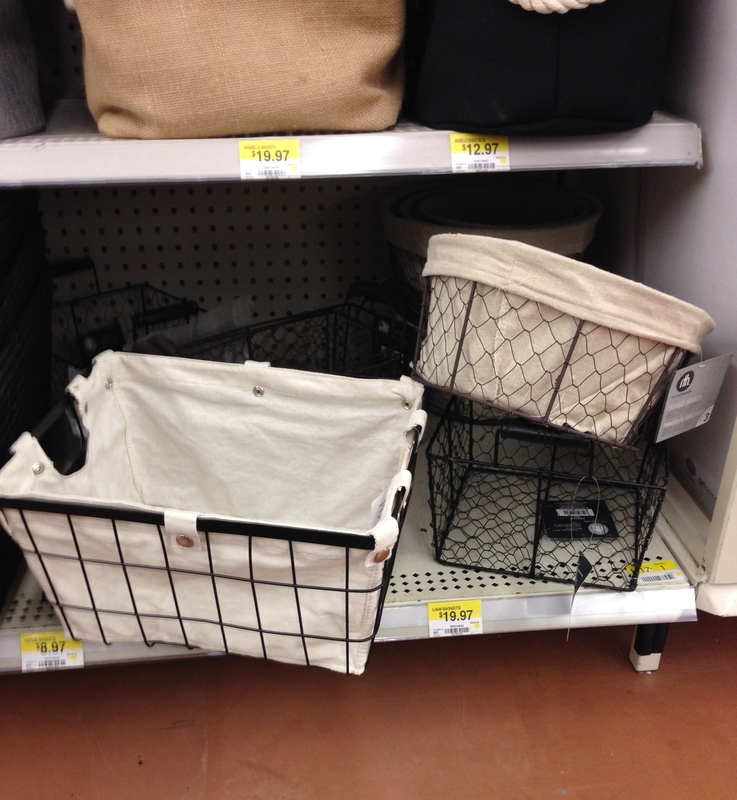 I particularly like the chicken wire baskets that you can find almost anywhere now. These are a few I found at Walmart. 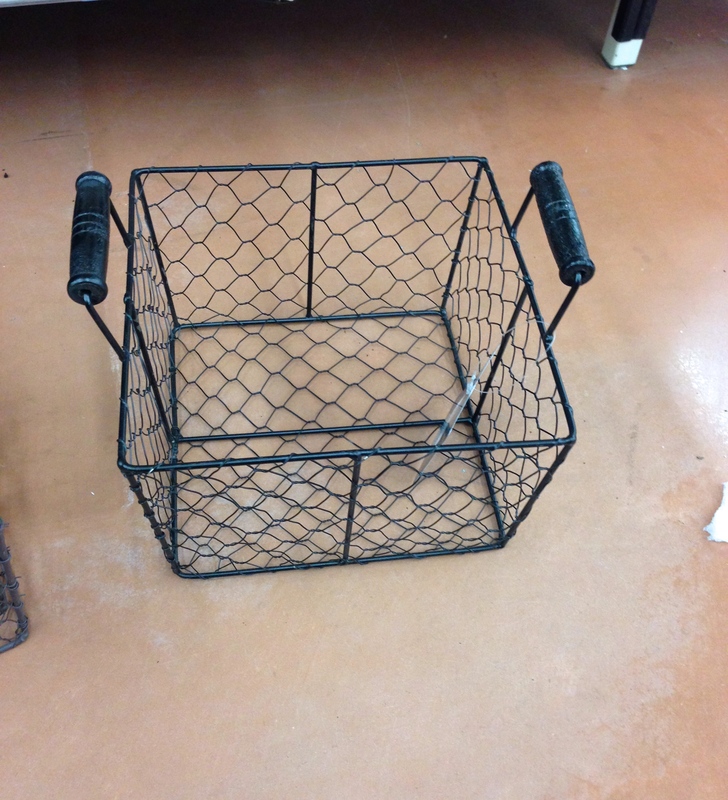 I like the first picture (although I would spray paint them black) but they come in three and I’m not sure I need three chicken wire baskets. 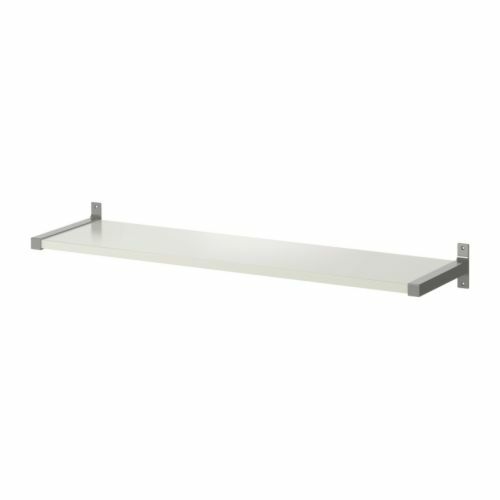 Originally I thought about getting the all white floating shelf from IKEA, but now I’m rethinking this and wondering whether the I should go with the silver one. 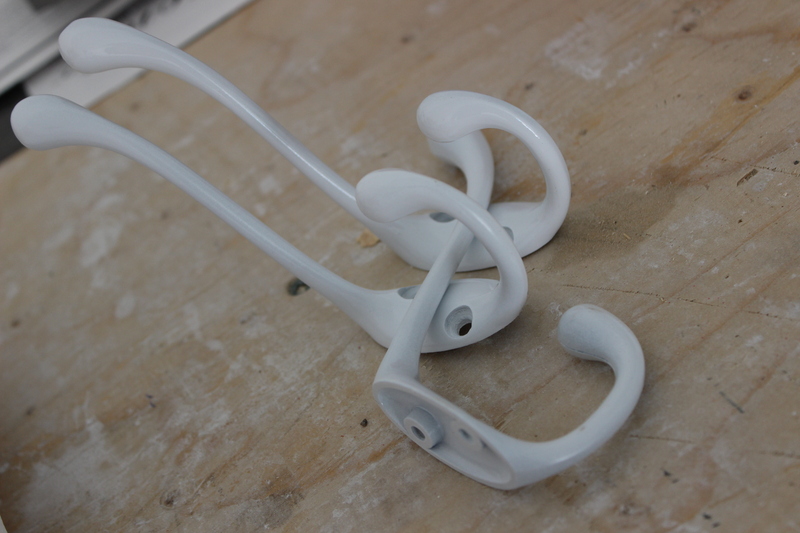 Hmmm…any thoughts? 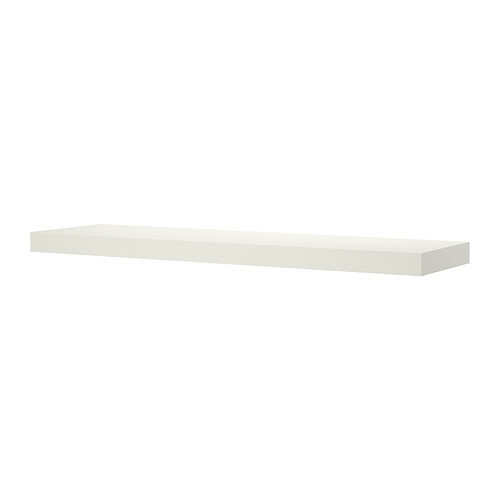 This will meet my shelving needs (believe me I don’t need much more in our laundry room). 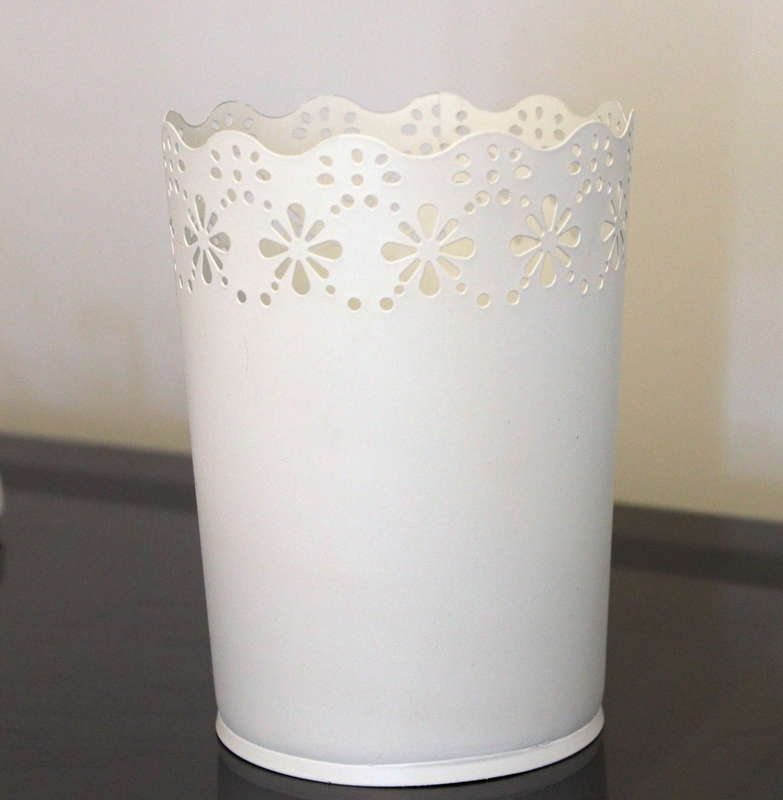 I also found this decorate flower pot from the Superstore that looks just like the IKEA Skurar one, but for a fraction of the cost. 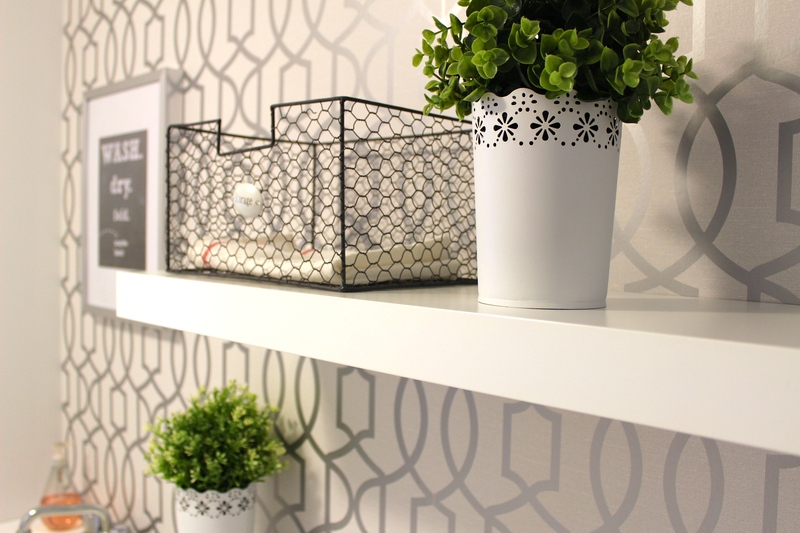 Who would have thought that you can find something cheaper than IKEA?! 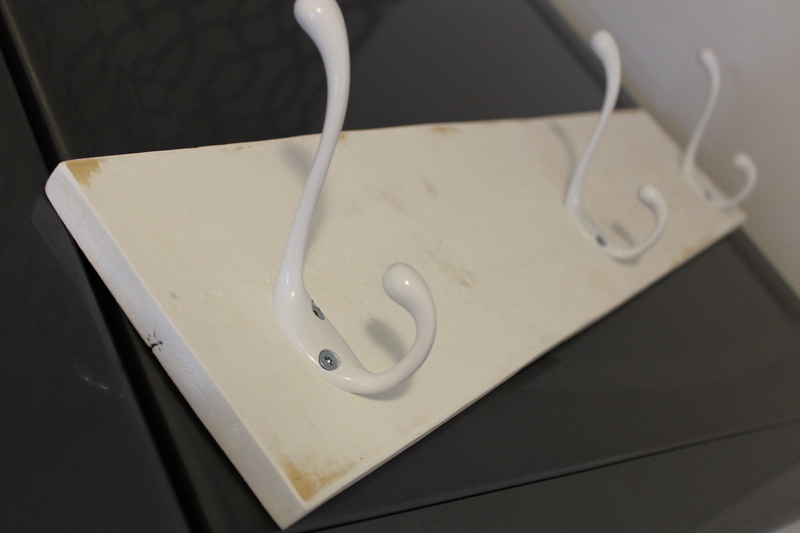 Lastly, I used an old skid plank we had and mounted three hooks to it. I plan to use this to hang the ironing board from.